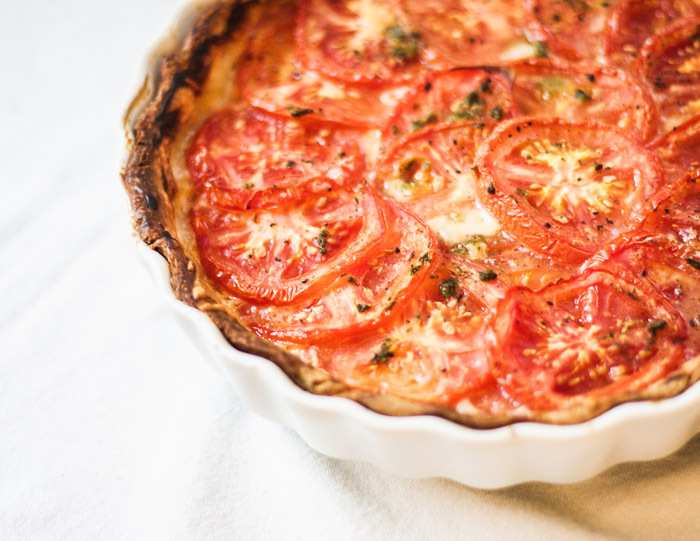 One of my favorite summertime dishes is Tarte à la tomate, light French fare commonly prepared as an appetizer or part of a light meal. This recipe is from my husband's family - it's quick, simple and delicious. Bon appétit! - layer shredded Swiss cheese uniformly on the top of the mustard. Make sure to cover the entire surface of the bottom of your pie. - bake for 25-30 minutes - to avoid a soggy pie, continue to bake for a few extra minutes until the pie crust is dark and tomatoes look slightly dried out EVEN IF it looks done. Wow! That sounds and looks amazing. Catherine this looks fantastic! I'm making this tonight. I have so many tomatoes from my garden and this will be perfect for a summer's night. Thank you for sharing it. I'm going to pin this ASAP! Aw thank you Kim... Wish you could offload some of your tomato harvest this way :) Don't forget the wine + Bon appétit my friend! Catherine, this is so funny: I just made a similar "tart" the other day! Posted a pic on Instagram because I was so happy to be able to use my oven again (had been broken for some time). I will definitely try your version with the "moutarde" and the cheese at the bottom. Chèvre is a stand-by of mine, so it will also definitely be there for the final touch. Lovely recipe, thank you! Oh! Must've missed that IG post, will have to go and check your feed... interesting that you mention this version having mustard as all the times I've had it in France, there's always been mustard + cheese! But you're right, having scanned other recipes online, some versions leave them out. 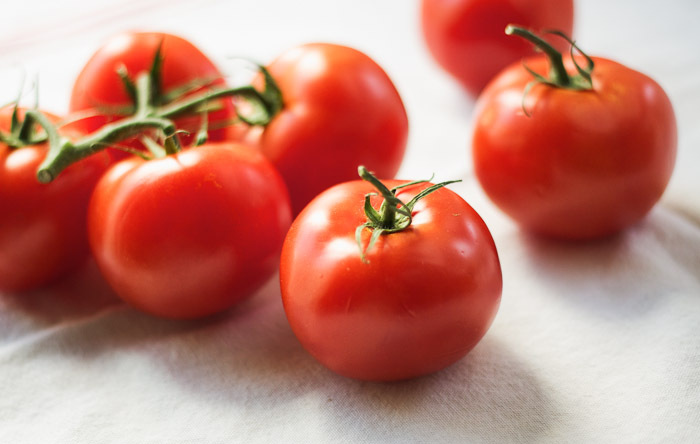 My husband pointed out that like many simple French recipes, tarte à la tomate was born out of what was in season and on hand. Would love to know how you like it "this" way ;) Bon appétit! Yumm! That looks sooo good! Miam miam! Merci pour la recette, Catherine. J'ai l'intention de l'essayer bientôt! Oh looks so divine and delicious! I will have to try it. But I think I will need a beautiful tart pan like the one you used - so pretty! I googel +'d this. I am going to try it.